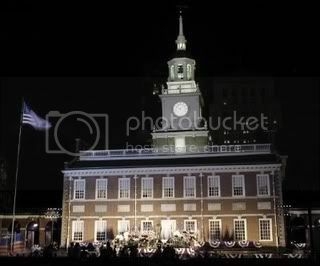 Philadelphia is without a shadow of the doubt one of the states with the richest history in the USA. A trip to Philadelphia offers you a myriad of opportunities such as fine dining and historic places such as Independence Hall which is where the Declaration of Independence was signed and Betsy Ross House where the first ever American flag was sewn. * Independence Hall is one of the must-see places to visit in Philadelphia. Independence Hall is where the Declaration of Independence was signed. During the tour of the Hall, you can see a draft of the Declaration as well as the room where each representative sat. * Liberty Bell located at Independence Mall is probably one of the most renowned symbols associated with the American Revolution and it is recognized as an icon of liberty around the world. * The Philadelphia Museum of Art located at Benjamin Franklin Parkway is home to more than 200,000 works of art including artists such as Dali. The Philadelphia Museum has Greek design feel to it and it is perhaps one of the most beautiful buildings in the area and a must-see on places to visit in Philadelphia. * City Hall located in the heart of Center City was at the time the tallest building in Philadelphia and now it's a great observation deck where you can enjoy panoramic views of the area. * The Reading Terminal Market is a one of the top draws in places to visit in Philadelphia because of the lovely market atmosphere reminiscent of 1900’s Philadelphia. * The Betsy Ross House located on Arch Street is another historic attraction in Philadelphia and the place where the first American flag was sewn by Betsy Ross herself. * Christ Church Burial Ground also located on Arch Street is where the remains of America’s important figures are buried such as those of Benjamin Franklin. * Elfreth's Alley located between Arch and Race Streets is considered a landmark and it is the oldest residential street in the country. A visit to Elfreth’s Alley is a step back in time in Colonial America and it is certainly one of the top places to visit in Philadelphia.